BANGI, 18 July 2012 – Twenty-six youths from several universities across the globe have just completed their three week stint experiencing the Malaysian way of life and education courtesy of The National University of Malaysia (UKM) in the fourth UKM-Global Student Mobility Partnerships programme. Most were from Asian universities but also include students from Royal Melbourne Institute of Technology Australia, Universidad Intercultural del Estado de Mexico (UIEM) and for the first time a student from Uzbekistan and two students from Daegu Health College, South Korea. They got together for a final hurrah at the UKM Bangi campus today for the closing ceremony of the programme where they received their completion certificates from Vice-Chancellor Professor Tan Sri Dato’ Wira Dr Sharifah Hapsah Syed Hasan Shahabudin. The students signed up for one of two courses, Indigenous Communities of Malaysia or Sustainability of Tropical Heritage during their stay in Malaysia. Deputy Vice-Chancellor (Academic and International Affairs), Professor Datuk Dr Noor Azlan Ghazali who addressed them expressed the hope that they had forged friendships and build bridges of understanding among them and their counterparts in UKM. 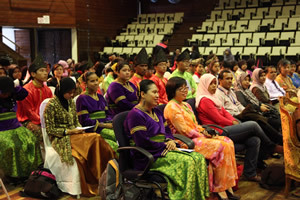 The courses UKM offered showed that the university is serious about upholding sustainable development and the country’s indegenous heritage, Prof Noor Azlan said. 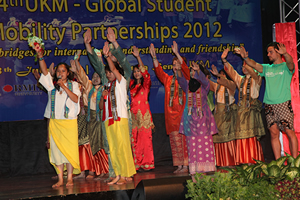 The programme combined experiencing university life at UKM and being involved with the true nature and culture of Malaysia. The participants who took the Sustainability of Tropical Heritage (STH) course went on fieldtrips to Danum Valley Langkawi where they observed first hand UKM’s efforts in conservation and sustainable development. Those in the Indigenous Communities of Malaysia (ICM) course visited and stayed with the Mahmeri Orang Asli of Carey Island and the Kaum Batik in Kuala Tahan. They also had homestays with the Ibans of Sarawak and glimpsed into life in a long house and experienced life of the indigeneous communities in Sabah. The program and recruitment of the international participants was coordinated by Director of the Office of International Relations, Prof Dr Imran Ho with the participation of the Faculties of Science and Technology; Social Sciences and Humanities; the Institute for Environment and Development (LESTARI), the Institute for Occidental Studies (IKON), Penerbit UKM, UKM Medical Centre and Dato Onn residential college. 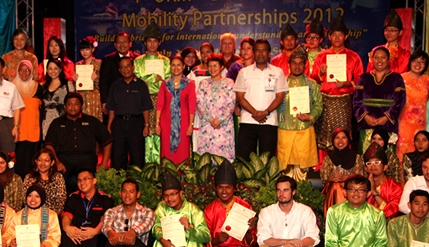 The Sabah Parks Association, Danum Valley Research Centre and the Langkawi Development Authority (LADA) assisted. Course coordinators comprised among others Dr Novel Lindon, Asso Prof Dr Junaenah Sulihan, Prof Kamarudin Said, Prof Ong Puay Liu for the Indigenous Communities of Malaysia (ICM) programme and Asso Prof Dr Norhayati Ahmad, Dr Tanot Unjah, Dr Ahmad Aldrie Amir for the Sustainability of Tropical Heritage (STH) programme.